I have things about my family that I wonder about . . . . How did my grandparents meet? What was life like for them years ago? What were their family traditions? According to the Search Institute, family assets are the everyday things that families do to be strong, even in challenging times. Take time this year to learn about your family traditions. What are your family recipes? When I was a young adult my grandma wrote out her recipes for me in a recipe book and gave it to me one Christmas holiday. 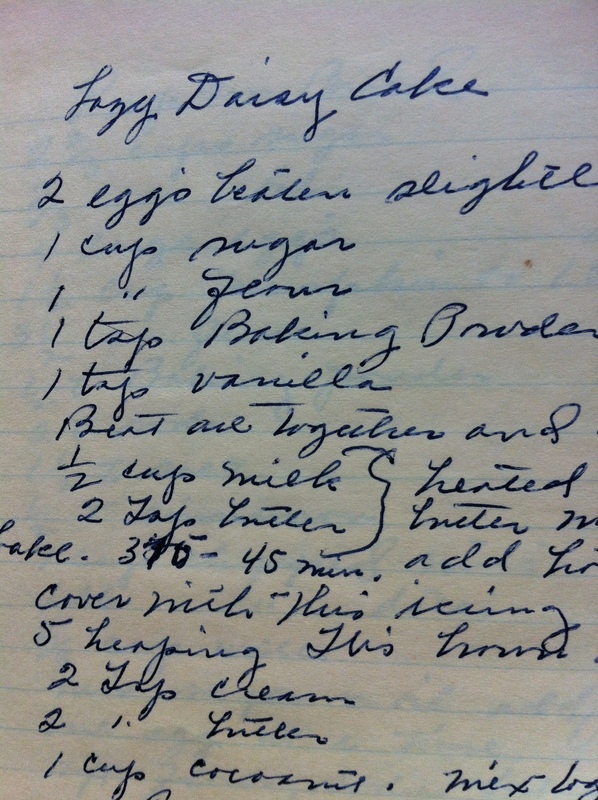 Those recipes in her handwriting are precious to me. I recently found a similar recipe book and vow to copy or write the recipes for the second book. Why? 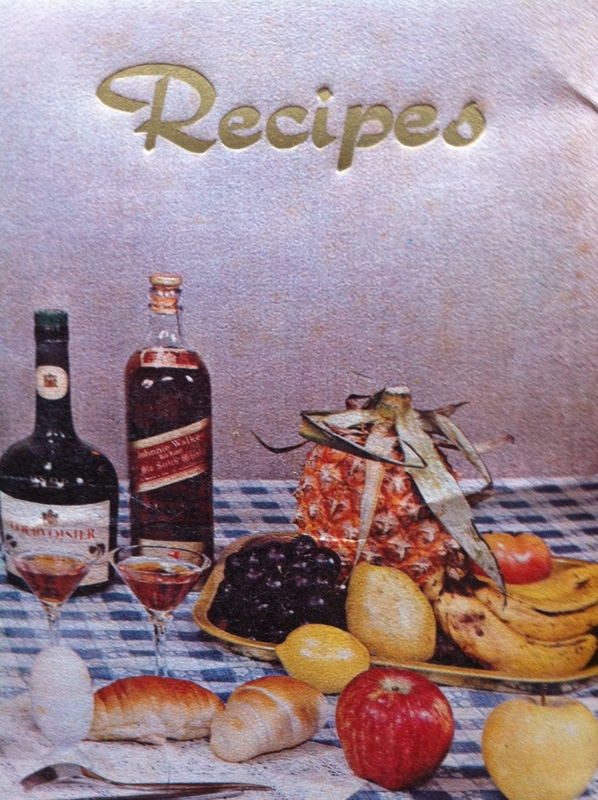 I would like for both of my daughters to have a recipe book with their great grandma’s recipes. I hope to continue the tradition of the Lazy Daisy Cake that my grandma often made. Informing the younger generations about our family traditions helps them know about their family history and traditions and can strengthen their sense of family support. My Grandma Treber loved to quilt and when I was a teen she taught me to hand stitch. I picked my purple (my favorite color) and white and we started piecing the quilt. She cut out the pieces of the quilt and I made a few squares. She taught me the importance of tiny stitches and how you have to be precise if you want the quilt squares to fit correctly. We both worked on the quilt but she did the majority since she had more time to work on it than I did. One day when I stopped by for a visit, the quilt top was finished. She’d been working on it while she watched her stories (afternoon TV shows). That quilt and the time I spent with my grandma hold precious memories for me. The Search Institute identifies Family Assets that help families be strong. When families have more of these research-based assets, the teens and adults in the family do better in life. • Family meals – Family members eat meals together most days in a typical week. • Shared activities – Family members regularly spend time doing everyday activities together. • Meaningful traditions – Holidays, rituals, and celebrations are part of family life. • Dependability – Family members know what to expect from one another day-to-day. Each of these qualities is important and strengthens your family. For additional information about Family Assets, visit the Search Institute website. Everyone can play a role in developing and strengthening these assets. All members of the family including children, teens and the adults contribute to these family assets. Perhaps this is the year that you will talk to your parent or grandparent about their family stories. Collect those recipes and make them into a family recipe book. You might enjoy interviewing a family member and recording their responses. Use your phone, flip camera or other recording device to capture those family memories. You will be rewarded by spending time with a family member and offering them a family book or recording to treasure. There are many options for you – online recipe cards, recipe boxes, and recipe or cook books. Have copies made for family members – what a wonderful Mother’s Day gift you can create. writing this post and also the rest of the website is very good.